There are many ways to be a leader on campus—there are dozens of opportunities to step up and get involved in issues that are important to you. 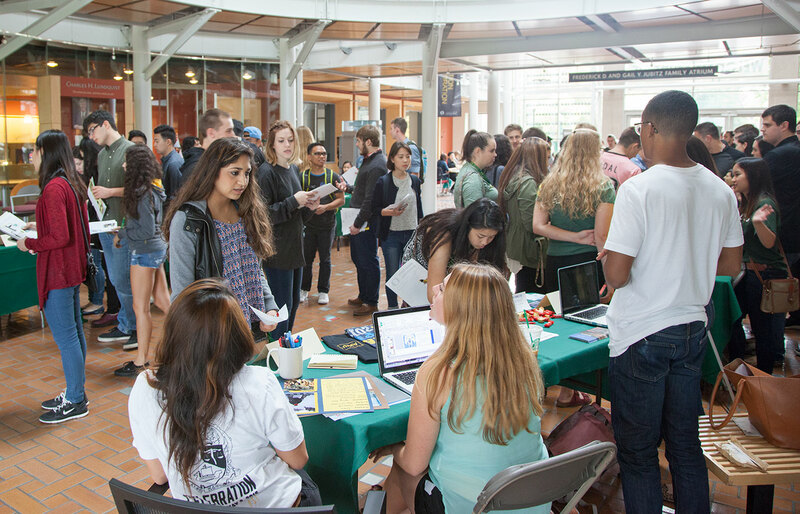 Try running for ASUO Senate, organizing an ice hockey team, or coordinating the sexual violence prevention workshop for your residence hall. There are formal leadership opportunities through the Holden Center for Leadership and Community Engagement and through the many student jobs in departments all over campus. OrgSync can help you find other opportunities as well. Are you thinking about that perennial question: “What are you going to do after college?” We can help! The Career Center has dozens of workshops, special events with employers visiting campus, and one-on-one career advising to help you achieve your long-term career goals. There are a lot of ways to plan for your future, but the Career Center is working to make that easy for you every day. Prepare your résumé for an internship, attend a networking event, or land a campus job. These are just some of the ways they are making this all possible for you to do great things when you graduate as a Duck. Leadership has a lot of different hats. And you're going to have to try a lot of them on to get the right fit. The Holden Center for Leadership and Community Engagement is your hub for leadership and service. Now, it doesn't stop there. You will have a lot of opportunities to connect and lead all over campus, we just know you will need a place to start. Get connected with the Holden Center.